"From the moment I met Anne, I instantly felt at ease. She provides a safe, comfortable, nurturing space for clients and truly cares about their well-being. I was moved by her sincerity, compassion, non-judgment, and full support of my healing journey. Through our sessions I was able to remove blockages and fear that impeded my path. As a result, I no longer feel bound to those painful emotions. My deepest gratitude to you, Anne, for your wonderful healing work. It is a true blessing to return to emotional freedom!" "I recently used Anne's services for a nail-biting issue and found my time with her to be of great value. Many years ago, I had chewed my nails incessantly. After experiencing the power of hypnosis, I had not indulged myself for decades. Recently, this nasty old habit had resurfaced and I was having difficulty resisting the urge. I went to see Anne.
" Anne's space for seeing clients is small, cosy and comfortable with good light and easy ambiance. She was welcoming and professional as she prepared me for what to expect in our session together. I appreciated this information as it helped to put me at ease knowing I was in the hands of someone who knew what they were doing!
" Hypnosis is often a misunderstood tool, but it does work...at least for me. By the end of the session, I was more confident in my ability to succeed. I needed this jump start to get me back on the right path and it has worked. If I start to nibble again, I won't hesitate to go back to Anne again... or to recommend her to others." "Anne was able to track down my issues using her counselling and listening skills in the very first session. She is a skilled professional who produces results very quickly. I felt totally comfortable with her and as a result I was able to find relief." "Anne is amazing! A real seller for me was the fact that she is well-versed in the 12 step program, which has been a big part of my life for the past four years. 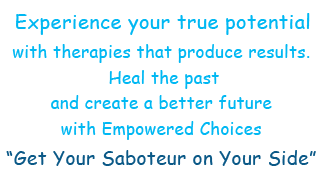 She's dedicated, professional, authentic, witty, relaxed, highly effective, focused on solutions, encouraging, intuitive, a true healer. Her unique approach to the pursuit of wellness has helped me discover a new sense of self worth, healthy personal boundaries, a vision of my future that includes strength, hope, compassion and forgiveness. I have a brand new perspective on my life! Anne has helped me re-discover my possibilities and make peace with my past." "I have always shied away from confrontations, tried to accommodate people - even if I didn’t agree with them - and tried to please everyone around me, except myself. I needed to find an explanation for my behavior. A friend referred Anne to me and I started to learn all about myself; a very interesting experience in itself! Through Time Line and going back into my ‘previous lives’, I have learned why my biggest issue was fear - and have overcome it. I am very glad to have gone to Anne twice a week for over half a year because it has changed my personality. Today, I’m leading the life that I want with the people I chose to include. I have gone back to school and I’ll be graduating in the spring. I know what my goal is and I know that I can achieve it. Knowing ones weakness is half the battle won. Time-line is an amazing experience and will truly shake you up." "I find NLP an amazing counselling process. Time and again I marvel at how easily, quickly, and indisputably NLP works to dislodge past blockages and to imprint more wholesome ways of being and relating. I have also found EFL to be a quick and effective technique of getting to the crux of an [emotional] issue. Anne Goodman is a competent and experienced practitioner. Her counselling style is confident, supportive, and effective. I find Anne to be both highly skilled and exceptionally intuitive in her [assessment and] application of the counselling process." "I have worked with Anne for just over a year. Without a doubt, there has been a profound transformation in my emotional well-being since my first visit. Anne is so compassionate, warm, and good at what she does that it is has become easier for me to remain present when issues come up to be cleared. It is truly amazing to be able to use all of the tools that Anne has to offer her clients. I am particularly fond of EFT; it is absolutely fantastic. Unlike conventional therapy, which I underwent for many years, Anne’s sessions uncover deep issues and release them immediately through tapping. I find Anne extremely insightful, patient, kind, and non-judgmental. During our sessions, I have been able to identify and clear some major blocks in my life including obesity, debt, and childhood trauma. It is a huge gift to have worked with Anne and my life is all the better for it." "I am a counsellor myself, and I have tried many different therapists and techniques including NLP and Time Line [Therapy] to try to cure my insomnia. At the very first session Anne skillfully led me to some huge realizations about what was causing my problem and I had immediate relief. Thank you so much!" "I was having real problems focussing and remembering at university. I seemed to have something blocking my success. Working with Anne helped me to alleviate my stress and enabled me to focus on the fine details that contributed to me getting an “A” on my final linguistics exam, and a “B+” in math. I can’t thank you enough. You are very skilled. Thank you." "During one session with [Anne] my migraine headaches have completely disappeared. I’m not even sure what happened, but whatever it was, thanks!" "I was so relieved the first time I told [Anne] about the things I wanted to work on and [she] said it could take months. I had been thinking years, because of all the abuse from my childhood. And it’s true, after 6 or 7 sessions I am feeling so much better about myself and what my life is like. I am really looking forward to more of our sessions."